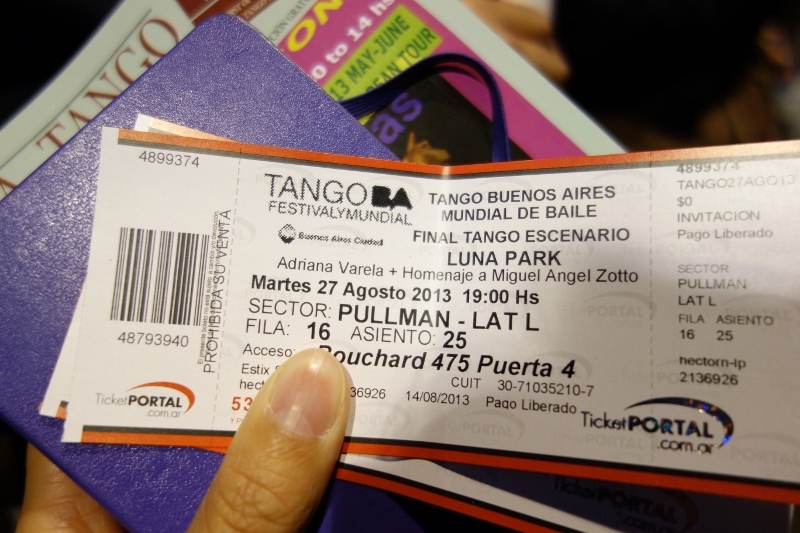 There were two very Argentine things that Jason and I both really wanted to do while in Buenos Aires: go watch a football game and enjoy Argentine tango. The two couldn’t be more different but after watching both, I have to say they’re so similar that I wouldn’t be surprised if Argentine tango dancers started wearing jerseys and football players traded in their cleats for tango shoes. Okay, perhaps I’m being a little extreme, but hear me out. 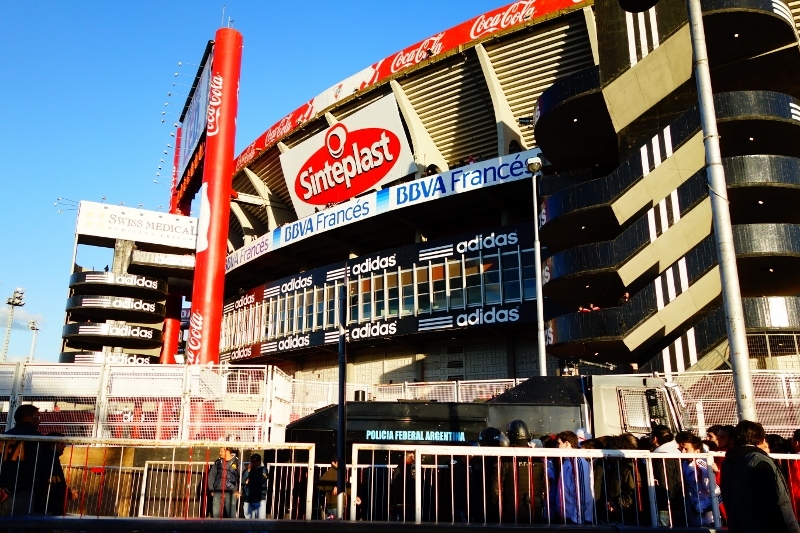 We wanted to watch the Boca Juniors play in the La Bombenera stadium but since the Boca Juniors fans are crazy, it would be really difficult to get tickets to a game. 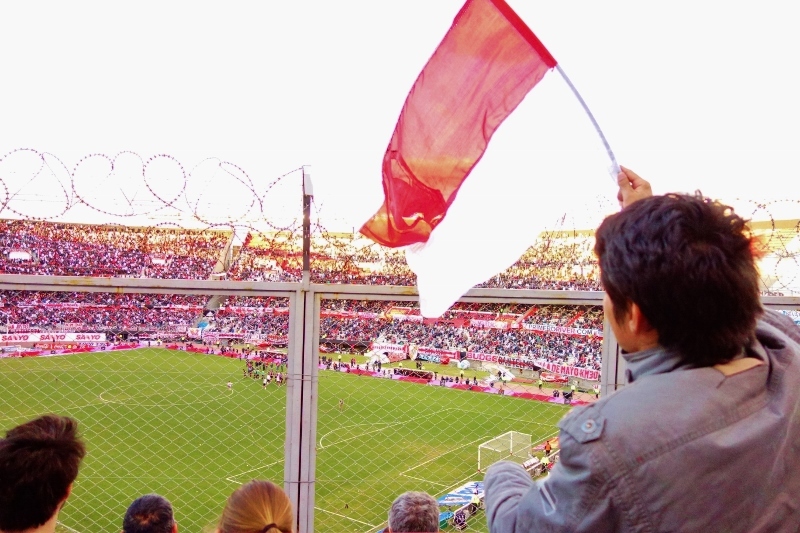 Instead we watched the River Plate soccer club play at the River Plate stadium – a huge venue filled to capacity with enthusiastic fans. 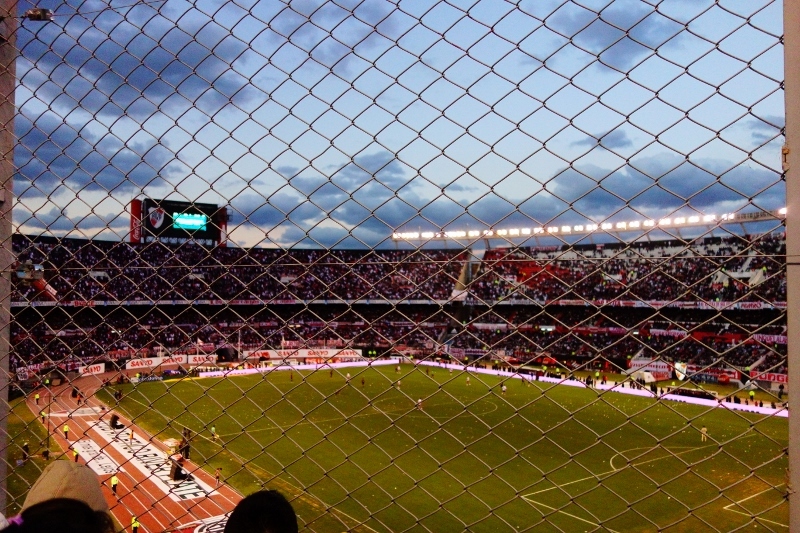 The River Plate Football Stadium. And yes, that’s a water cannon on top of a tank at the bottom of the picture. 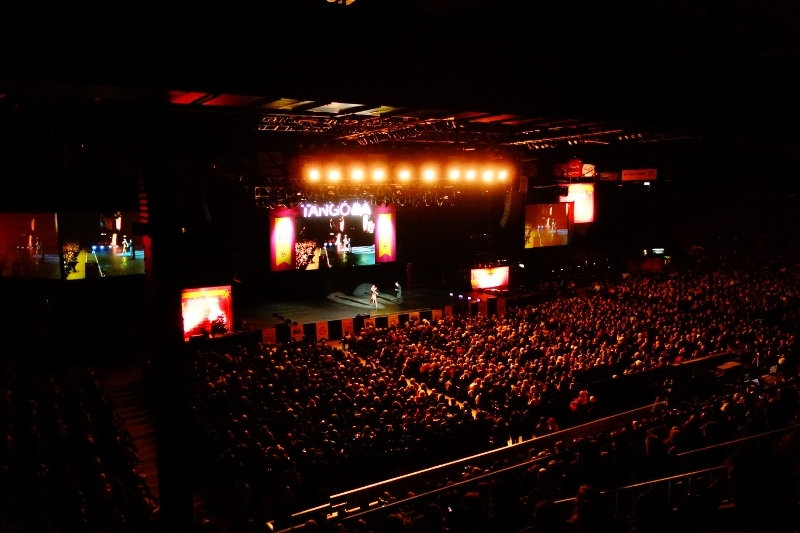 We scored tickets to World Tango Finals. We only had to line up for 1.5 hours for them! 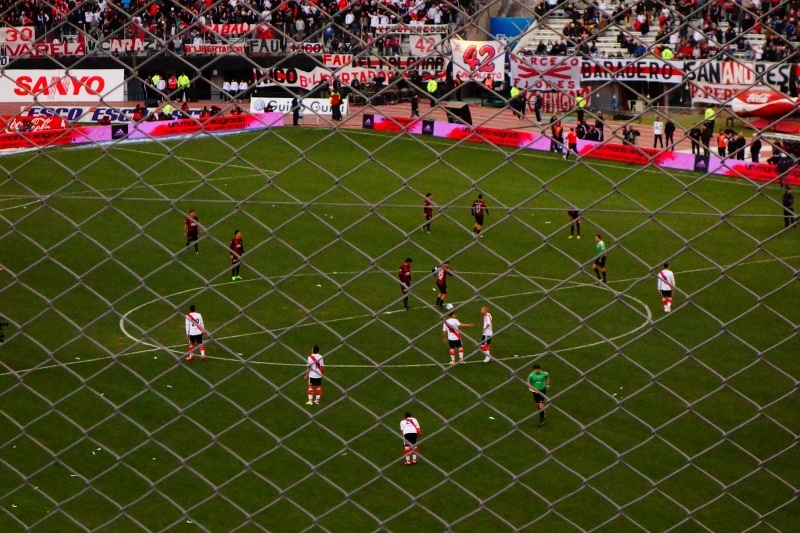 Watching the River Plate team was pretty impressive. They were obviously the better team and played their hearts out. Their display of endurance, speed, and agility was pure joy to watch. There was no question they were world-class athletes. The tango finalists that we watched that night were spectacular. Even Jason was impressed with how technical and difficult the Tango was – especially when it came to the intricate footwork. As with the football players, the Tango dancers’ display of endurance, speed, and agility was exhilarating to watch. World-class athletes here too. A lot of what makes a live football game so exciting to watch can be credited to the team’s fans. Football fans are the pure definition of the world: fanatics. They are in love with the game, the players, the excitement and are not afraid to let you know. The whole stadium shook when fans chanted, stomped, and sang in unison. The passion was palpable. Side note: if the River Plate fans are considered to be tamer than Boca Juniors fans, then I don’t think I ever want to get on the bad side of a Boca Juniors fan. Like a football game, the passion is also palpable when watching a pair of tango dancers ooze desire all over the dance floor. The best tango dancers make you feel a little voyeuristic when watching them dance. It feels a little wrong watching that much passion exchanged between two people. Two world-class tango dancers will make you believe they are absolutely in love with each other. I would not be surprised if every single dance couple up there were actually romantically involved by the way they touched (and locked lips with) each other. Like tango dancers, football players also possess an incredible acting ability. More times than I can count, two football players will barely make incidental contact and almost always, one of them will roll around on the ground in agony. They writhe in “pain” until they are certain the ref won’t be making a foul or penalty call. At that point, they jump up and rejoin the game as if nothing ever happened. 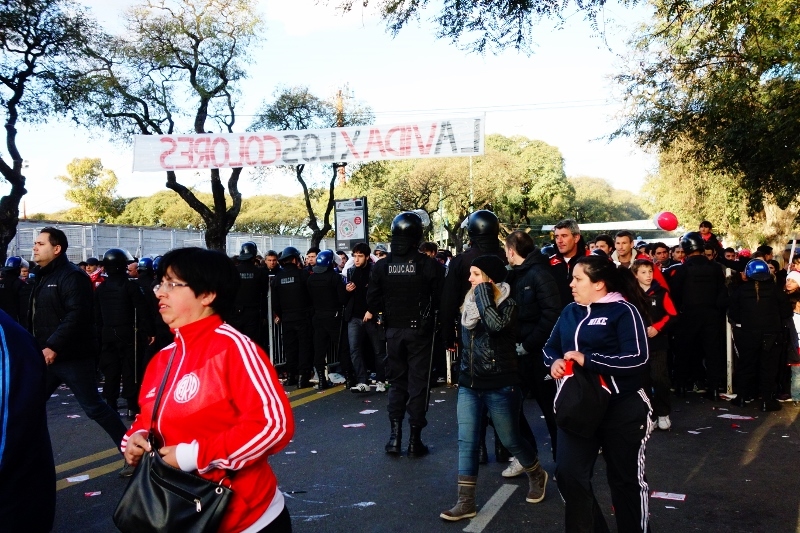 Fans were funneled down certain streets by the stadium where they were then subjected to full body pat-downs and bag searches by riot gear-clad police officers. 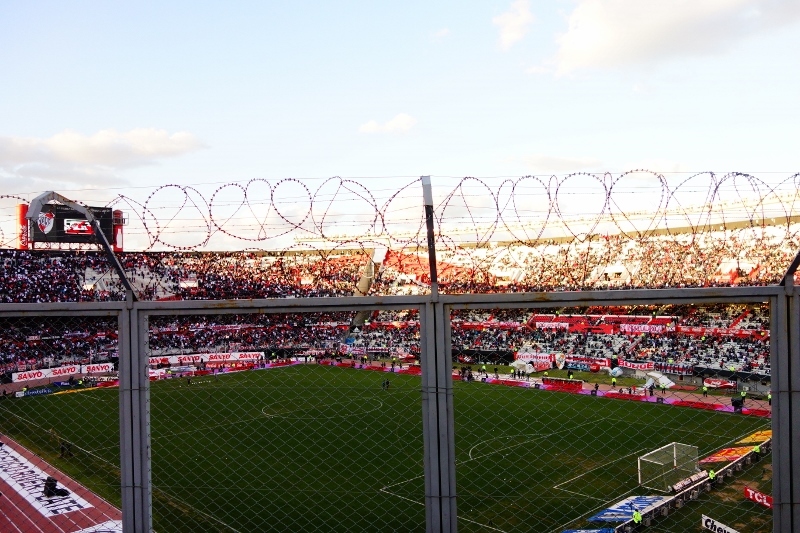 A fenced-in seating area topped with barbed wire. This area is where fans of the opposing team are seated. 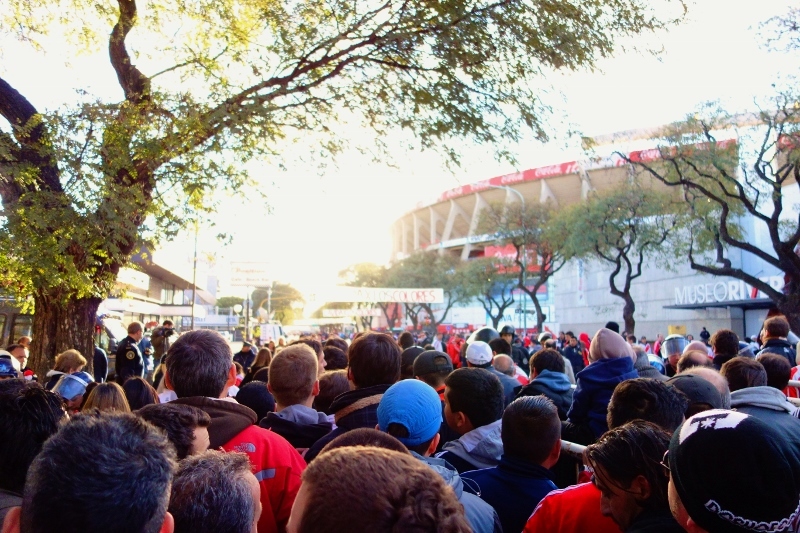 After the game, the entire stadium is locked down for 30 minutes to allow the opposing team to leave the stadium and surrounding area first. Crazy football fans! So there you have it. Really, other than the barbed wire seating area, Argentine Tango and football are like two peas in an Argentine pod.